The coast of Maui is filled with amazing dive sites! 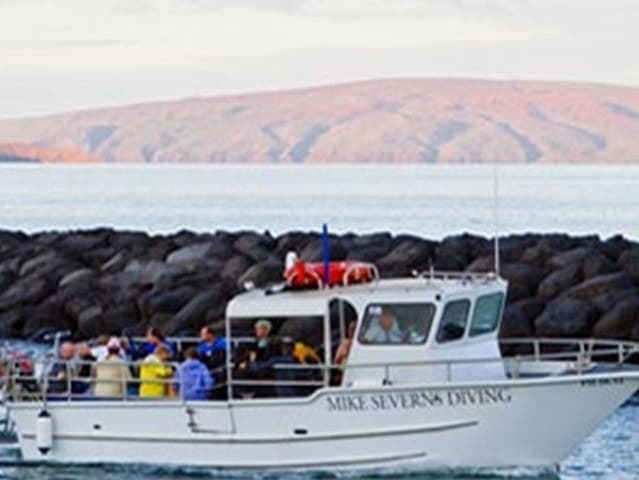 Just a short boat ride away from Kihei is Molokini Crater, the first dive of the day. Molokini Crater is a volcanic cone that has been a marine reserve for over 35 years! The water clarity at Molokini is exceptional and the curved shape of the cone protects a vibrant, thick coral reef system. Your expert captain will choose a second dive site, based on current ocean conditions and the interests of the group. Groups are kept small and there are no arbitrary diving time limits so you can see and experience as much as possible. From Lahaina / Kaanapali (26mi, 50-60min): Head SOUTH on Highway 30 (Honopiilani Hwy). Turn right onto N Kihei Road (Hwy 310) at the junction and continue through the first stop light. After the first light, get into the right lane and turn right onto Highway 31 (Piilani Hwy). Turn right onto Alaniu Kealii Drive towards the water and turn left onto South Kihei Road. 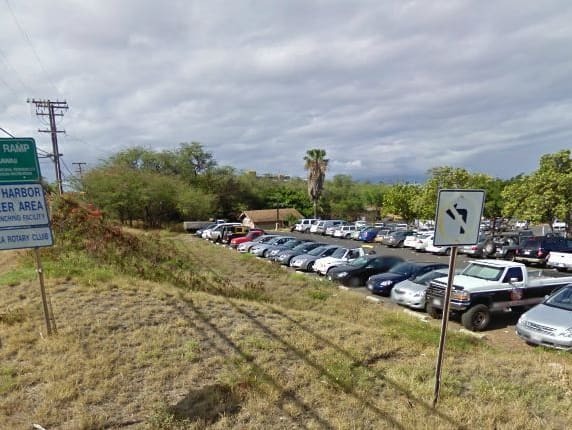 The Kihei Boat Ramp is a few blocks down on your right, just past Kamaole Beach Park. Parking is free. How long is each dive? Dive times vary depending on how efficiently you use your tank. Some may be as little as 30 minutes, some are able to go over an hour per dive. Yes, Nitrox is available at $30 per person. Please indicate when booking. Continental breakfast includes local macadamia nut cinnamon rolls, coffee, hot chocolate, cookies, fresh fruit, sodas, juices, and chips. Yes, underwater cameras are available at $40 per rental. Panasonic Lumix TS4 (12.1 megapixel) digital underwater cameras with built-in flash. It features a large LCD monitor and using just three buttons you can shoot photos or high definition video. The cost includes burning your photos onto a CD or having your photos uploaded to a web-based file hosting service. Camera can only be used by experienced divers who are skilled in buoyancy control in order to protect the coral reef. Why do dive spots vary? Dive spots may differ depending on ocean conditions as well as your requests. The captain will determine your dives on the day of your activity. What if I forget my dive certification? All divers must show proof of open water certification with their PADI card and log book and are required to have dove within the past three years prior to their activity date in order to book this dive. Yes. The tanks feature standard yoke valves. If you bring your own regulator that has a DIN first stage, you will be provided with a DIN adapter. What is considered a "certified diver"? All certified divers must possess a PADI Open Water Certification in order to participate in the certified dives. If your dive certification does not allow you to dive farther than 40 ft (12 m), please book a beginning dive.